the SP symbol 'cycle' was frozen by the Election Commission. Lok Dal national president Sunil Singh told reporters in Lucknow that his party in EC's records was a registered, unrecognised party that was formed by veteran socialist leader Charan Singh way back in 1980 and "netaji" (Mualayam) is its founder member. "I offer Lok Dal's symbol and national president post to 'netaji' and am ready to contest the polls with him," Singh said. Lok Dal, which has the old election symbol of farmer ploughing field (khet jotta kissan), on which Charan Singh had become the chief minister of UP, wants to contest Uttar Pradesh assembly polls and has already short-listed names of 100 candidates. "I want Chief Minister Akhilesh Yadav to understand that his uncle Ramgopal Yadav is working under pressure of CBI to save his son and daughter in Yadav Singh case. Bureaucrats backing him will no longer be there after polls. He should understand that 'netaji' is his father and his real well wisher," he said. "I want them (Mulayam-Akhilesh) to resolve the dispute and if it does not happen and cycle symbol goes to Akhilesh or EC freezes it, Lok Dal is with Mulayam," he said. 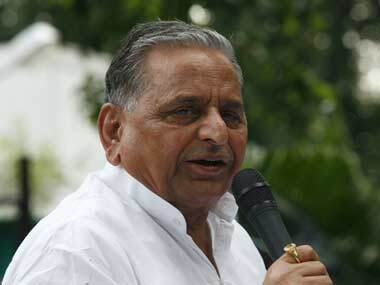 "I have met Mulayam Singh and offered him to contest the elections on our symbol," he said. In 2012 elections, Lok Dal had contested 76 seats and but all their candidates lost in the polls. Lok Dal's offer came amid hectic discussions by leaders of rival camps on various options and ramifications once the poll panel gives its order. The EC, which reserved its order on the dispute over 'cycle' symbol, has kept both sides guessing with leaders of warring camps exploring various scenarios as little time is left for process of filing nominations to start for the first phase of the staggered polls in Uttar Prdesh. The state will have a seven-phase polling beginning 11 February and filing of nomination papers starts as early as Tuesday. The confusion notwithstanding, a large number of ticket seekers thronged residences of Mulayam and his defiant son Akhilesh. Throughout the day, Mulayam and Akhilesh stayed put in their bungalows in the VVIP security zone which has seen high voltage political drama ever since the family feud broke out in the Yadav clan six months back, splitting the ruling party ahead of the crucial elections. "Akhileshji is our face and we will seek vote on it. New symbol, if given by EC, however, will be a challenge but we are prepared for all situations. We are relying on the work done by the CM in past five years and people will support us," a highly confident SP MLC Sunil Singh Sajan, considered close to Akhilesh, told PTI. 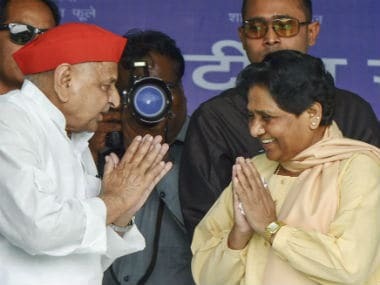 Interestingly, the Mulayam camp, which too has declared its candidates, are confident of retaining the symbol and waiting for the EC decision before deciding its next step. "Confusion still persists in both the SP camps as a number of candidates declared by both factions are common. We will work on it and decide our strategy once EC's decision is out," a senior SP leader said. Shivpal Yadav, who returned to Lucknow after presenting his side before the EC in Delhi, when asked at the airport said, "I hope EC will decide in favour of 'netaji' (Mulayam Singh Yadav). The situation will be clear very soon." SP state president Naresh Uttam, appointed by Akhilesh replacing his warring uncle Shivpal, has said, "The entire party is behind our national president Akhilesh Yadav, who was elected unanimously...we are confident of retaining 'cycle' symbol." (Mulayam Singh Yadav) will guide us. He is not only father but also our leader." His remarks came against the backdrop of Mulayam surprisingly softening his stand towards his son, saying Akhilesh will be the next Chief Minister, though his statement failed to iron out the differences between the father-son duo on contentious issues like party president's post which Akhilesh does not want to give up. Unfazed by ongoing power tussle in the ruling party, Akhilesh is busy fine tuning the poll strategy with his close aides. Party insiders said he was preparing a new list of candidates, dropping tainted nominees and giving ticket to deserving ones. Taking full control of the ruling party after being crowned as its head at a disputed national convention here on January 1, Akhilesh has been going whole hog consolidating his grip over the organisation. He has already made new appointments of district chiefs who were dumped by Shivpal and also released list of candidates for the Legislative Council polls in his capacity as the SP chief. Meanwhile, all eyes are on the EC, which has told both the sides that a judgement will be delivered at the earliest. Citing precedents, Election Symbol Order of 1968 and provisions of the Representation of the People Act, including Section 29A, the Akhilesh camp argued that since the numbers are stacked in favour of the CM, the symbol should go to him. 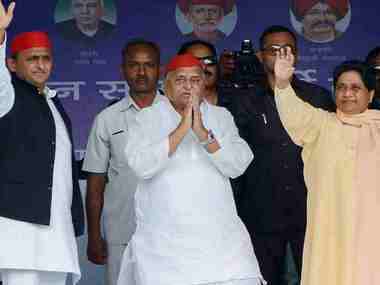 The Mulayam camp, on the other hand, said since there is "no vertical split in the party such as SP (Mulayam) and SP (Akhilesh), the Commission lacks jurisdiction to allocate symbol to one of the groups. 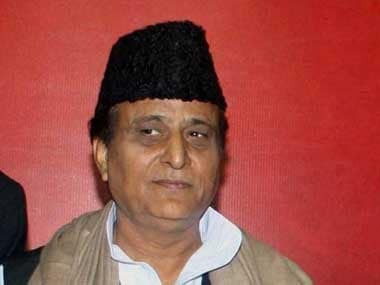 The Mulayam camp also argued that since no resolution was passed at the convention called by Akhilesh loyalist Ramgopal Yadav on 1 January removing Mulayam as the party president and that the party is one, para 15 of the The Election Symbols (Reservation and Allotment) Order, 1968 does not apply on the case. But, the claim was countered by the Akhilesh camp which said in one of the letters addressed to the Commission, Mulayam loyalist Amar Singh has used the term 'splinter group' and that both sides are before the Commission staking claim over symbol which indicates a 'dispute'.